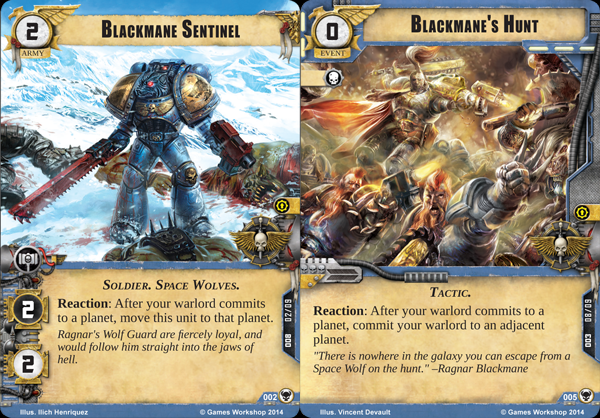 The headline announcement from the first pack for Warhammer 40,000 Conquest is that this pack will contain Ragnar Blackmane, legendary hero from the Space Wolves as the commander card and that this his will be the first pack in the Warlord Cycle. Each pack will contain 17 different cards, with three copies of each card. 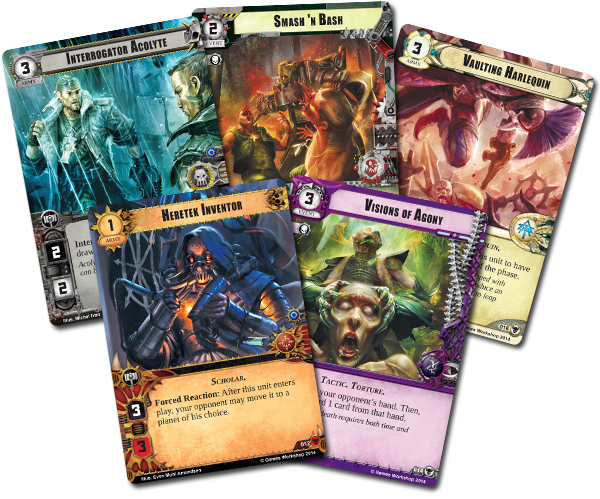 You’ll also get a new commander in every pack along with their 8 card retinue. Every pack will include a new warlord and each cycle will include a warlord for each faction. It looks like Fantasy Flight Games are mining the Warhammer 40,000 lore for characters so hopefully we’ll see plenty of familiar faces. You’ll also notice from the cards that have been displayed so far that we’re looking at completely new artwork, there does appear to be any recycled art from older games, which is always a good thing. We’re also being told that each warpack will contain “a full playset of each unit, attachment, event, and support card within.” This statement clearly outlines the type of cards you’ll be building your deck with but the words “full playset” have me intrigued. Is this going to be a traditional way of building a deck where you can put whatever combination of cards you wish or are we looking at a similar approach to Star Wars where cards have to be used in groups? Conquest is going to be a day one purchase for me; the combination of Fantasy Flight Games pedigree, Eric M Lang on the design team and 40k looks like a sure thing.